Helio's Drift, which we wrote about awhile back, has just gone official. 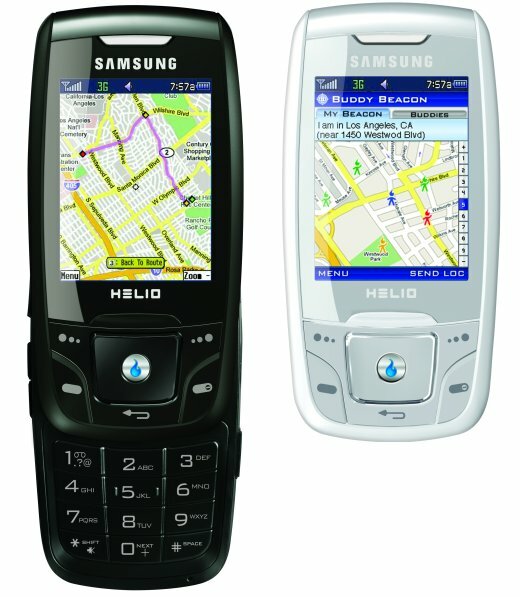 What makes this phone special is that it ships with google maps, as well as an integrated GPS module. Cool, but cooler is that it adds dodgeball-like meat space social networking with its Buddy Beacon. Flip it on, and friend with the same phone can see where you are on the map. You can use buddy beacon to theoretically signal them by sms to turn on their beacons, too. I say theoretically because I don't know a single person who actually owns a Helio phone yet. Too bad—innovation should be rewarded. Anyhow, the phone has a 2.12 inch screen, stereo Bluetooth, 128MB and a microSD slot, a 2MP camera Anyhow, all that location based wonderfulness means that the Drift could be the GPS phone ever, especially in the attractive at $225. Available in gunmetal black and frost white. Rumor: New Phone from Helio the "Drift"?